Complete your trim tab system with the latest switch technology. Totally waterproof, maintenance-free tactile switches. 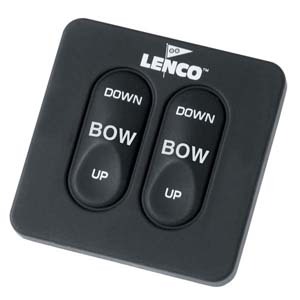 Lenco tactile switches feature: Built in retractor feature returns tabs to al fully retracted position when power or tach signal is removed. Includes 36" power pigtail for control box.